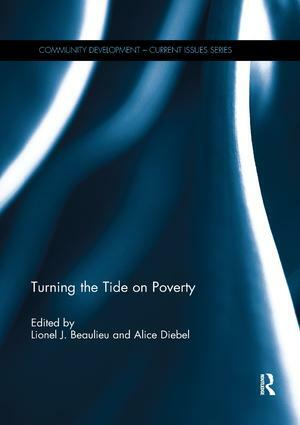 This book highlights the experiences of 14 high poverty communities in the rural South that accepted the invitation to be part of the Turning the Tide on Poverty (Tide) initiative. While history would suggest that impoverished places have limited capacity to make good things happen, Tide demonstrated otherwise. This volume is a testament to the positive work that can be realized when people from all walks of life are accorded the opportunity to discuss, deliberate, and act on strategies designed to improve the lives of rural people and places in the South. The message is clear: when local residents are provided a safe space to weigh in on local issues and asked to give respectful consideration to the views of others in their community, they create pathways for spurring positive changes. Simply put, civic engagement propels people to do more for their community and instils in them a sense of hope for what can be accomplished when local people work together. Lionel J. Beaulieu is Director of the Center for Regional Development at Purdue University, USA. Alice Diebel is a Senior Associate at the Charles F. Kettering Foundation, focusing on deliberative democracy and community development. Founded in 1970, the Community Development Society is a professional association serving both researchers and practitioners. CDS actively promotes the continued advancement of the practice and knowledge base of community development.